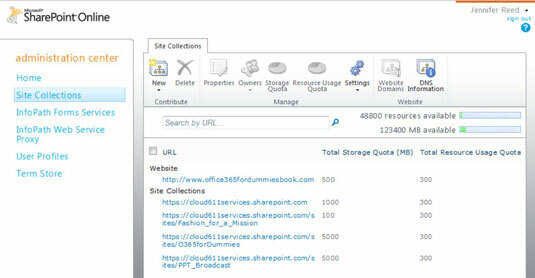 The idea behind delegated administration is to share power so that you, as the SharePoint Online Administrator, can be relieved of business-unit-specific tasks while at the same time, empowering members of your organization to make the call on tasks related to SharePoint for their business unit. Select a site collection by hovering over the URL to display a check box to the left of the URL and then clicking the box. On the menu, click the Owners action icon and then select Manager Administrators. Enter the name or names of the site collection administrators.